Religious TV Channel / Omega Christian Television is a Christian television station founded by Eiríkur Sigurbjörnsson which started broadcasting on 28 July 1992. Initially it only broadcast in Iceland but it has since expanded its coverage to a large part of Europe. 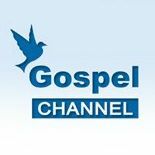 It broadcasts in the United Kingdom on Sky as The Gospel Channel. The programmes include well-known evangelical preachers and self acclaimed faith healers such as Peter Popoff and Benny Hinn.